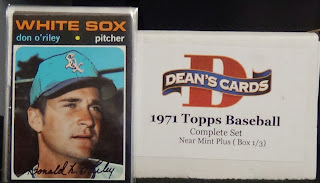 We at Dean’s cards have recently custom built a 1971 Topps Baseball Complete Set, which averages out to be in Near Mint Plus condition. Each and every card for this set was handpicked by our staff. Every single card has been scanned and can be viewed here. As far as vintage sets go, no other place has more to offer. We at Dean's cards carry a multitude of vintage complete sets, in both baseball and football. Ranging from years 1952-1972. If you do not see a vintage year and condition that you would like, we can build one for you. Our grades are conservative and we offer individual scans of both front and back of our vintage cards. We have recently decided to build Custom sets for our customers. If you have any questions about them, and would like one, please contact us by selecting "Interested in Custom Set". Our Set Manager will be happy to get back with you. The 1971 Topps baseball card set features 752 standard size cards, which measure 2½" by 3½". 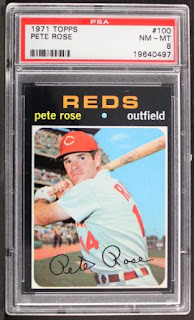 The subsets for the 1971 Topps baseball cards are league leaders (61-72), playoff highlights (195-202), and World Series highlights (327-332). The high number series (644-752) is slightly more expensive to collect. 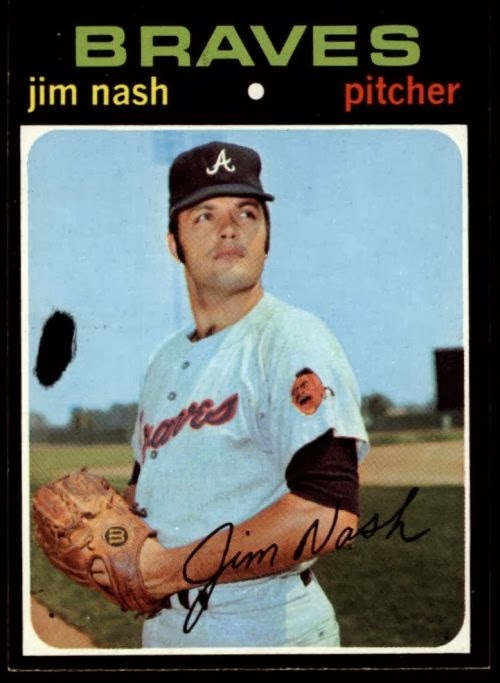 The 1971 Topps Complete Set was released in 7 different series that were about 4-5 weeks apart. The fronts of the cards feature the players name and the position they played. The back of the card features the statistics as well as a black and white photograph. The high number series can be pretty tough to come by. When the 7th series was being released, it just so happened to be the beginning of Football Season. Children were starting to buy the football cards, rather than the baseball cards. when they were first printed. The cards that were printed at a later date do not have this. This set is sought out by collectors in a higher graded condition. The black borders and backgrounds tend to pop out at them. They prefer a higher grade because the black is more solid, where on other grades it is chipped or rubbed away. However, it is common for a card of a higher grade to have a slight rub. 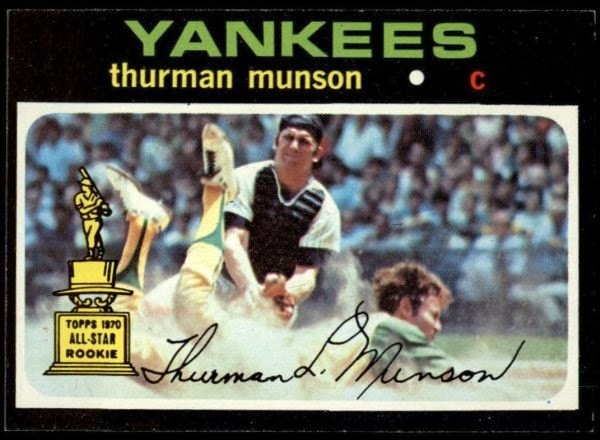 The Pete Rose and Thurman Munson cards happen to be two of the hardest star cards to get in a higher grade. We have a PSA 8 Rose, and a raw graded 8 for Munson for this set. Posted below are some stats on this beautiful set. 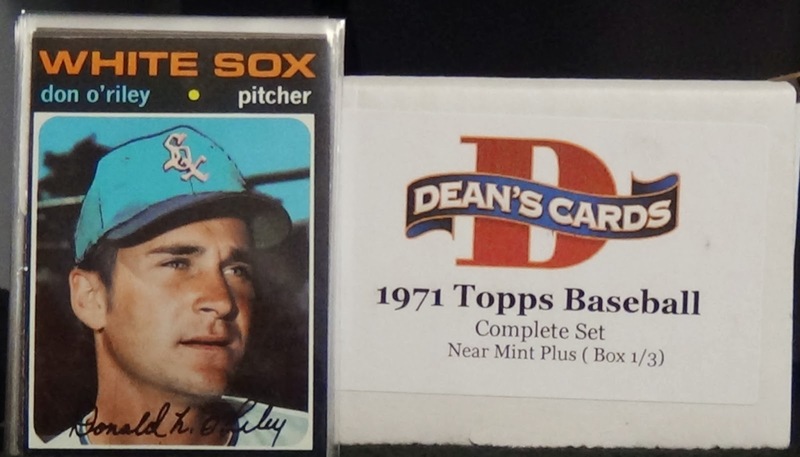 If you are interest in this set, be sure to head on over to our 1970’s set page and take a look. Purchased separately the cards in this set have a break-up value of $23,884.38, which is a savings of $15,884.39 or 67%.